Contents: doll, outfit, and necklace. Moana of Oceania from Disney's Moana movie is a vibrant, tenacious, and compassionate 16-year-old who sets sail on an unimaginable adventure to save the people of Motonui and find the answers she's been searching for her whole life. 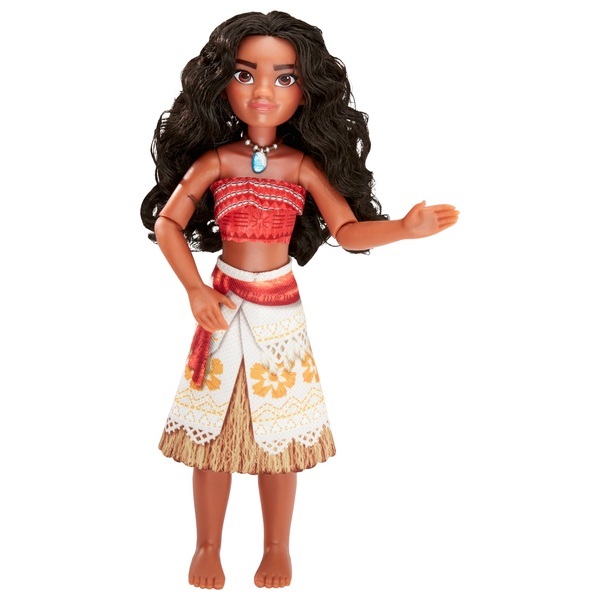 Dressed in her movie-inspired outfit, the Moana of Oceania Adventure Doll has 10 different articulation points for action-ready poses and lots of fun-filled adventures! Includes a removable outfit and necklace.